The beverages are the must haves of the dinner parties, get to gathers and family celebrations and most of us have a beverage corner in the living or lounge of the house to enjoy the drinks in the true spirit. But all the fun would be spoiled if you can’t find the bottle opener from the kitchen mess. So here we have brought you amazing ideas with which you can enjoy the opening of the bottles very easily and conveniently within your nearest reach. 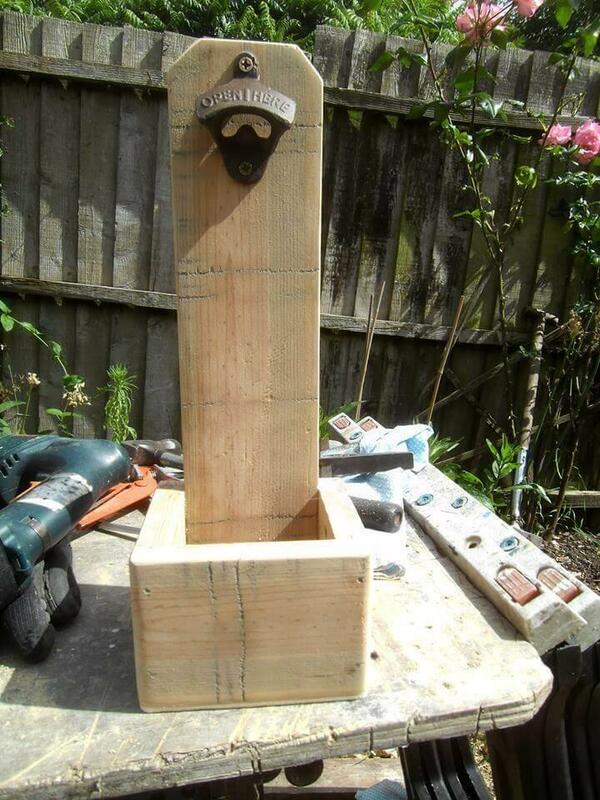 Just have a look at this wall mounted DIY pallet bottle opener that has been made using a simple pallet slat piece with a metal bottle opener at the top and a small cute box at the lower end to catch the caps in. you can mount on the wall of the area where your pallet bar, beverage station or drink spot has been set up. So make it today and enjoy the drinks in a more luxurious way without the hassle of finding the opener in the kitchen. To install a bottle opener you don’t need have to sweat with the pallet handling as it is too quick and easy to make just cut a single pallet slat piece from the pallet skid for the first step. 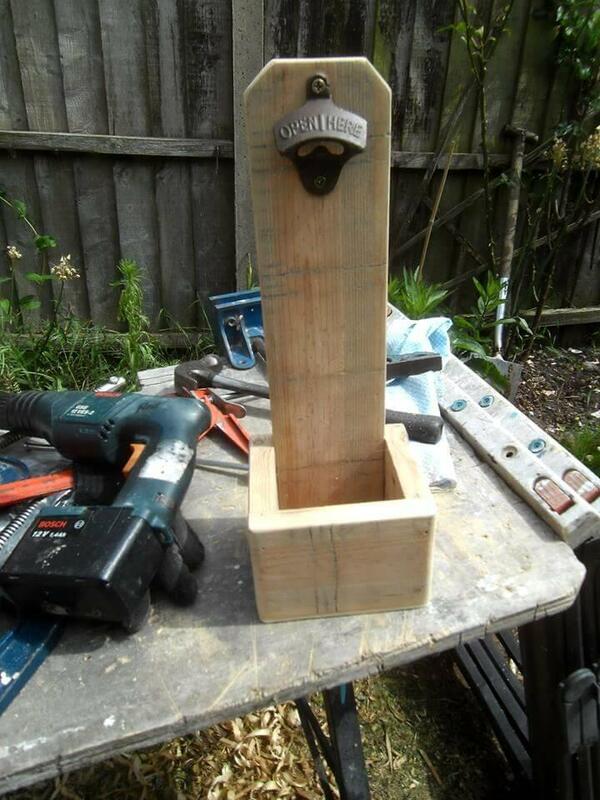 In the second step make a cute square shape cap catcher at the base of the bottle opener using three pallet scrap pieces and getting them yoked together very nicely. 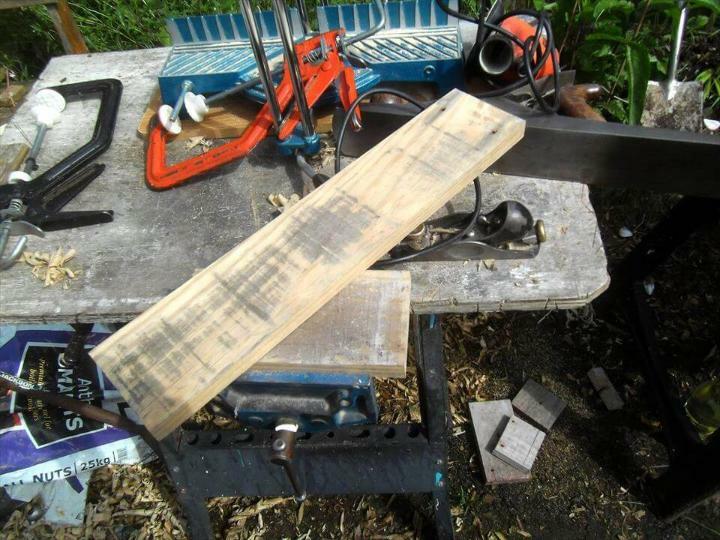 As a last step you would have to insert a metal bottle opener at the top of the pallet slat using a screw and a screw gun for a tight fixation and that is all.So now you know how easy it is to make instantly at home. 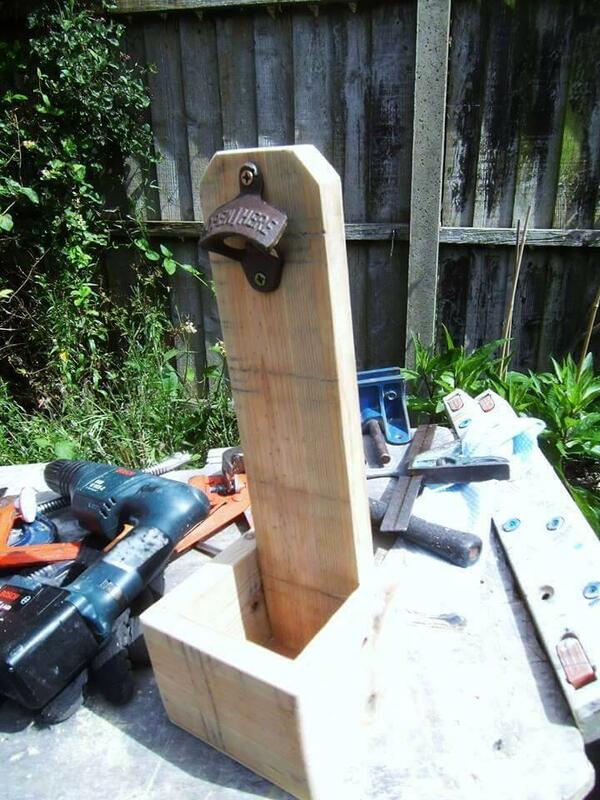 You can stain the bottle opener well after getting it sanded well and then make it mount on the walls of any section of the house where your drinks or bar station lies because staining would make it look more a pretty piece.